Bowen Road, Lockport - Chris Dietz Home. 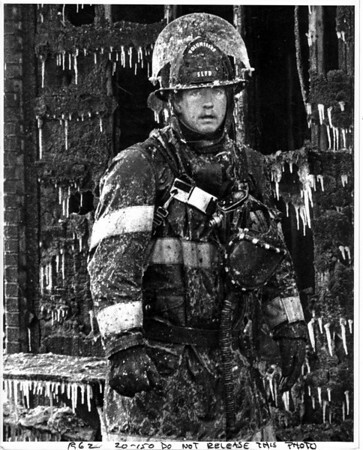 -37 degrees Farenheit wind chill factor makes South Lockport Volunteer firefighter Bob Hamilton, exhausted after battling the fire seem frozen like a statue as he pauses - perhaps with warmer thoughts on Christmas Eve. Photo - Bu Bukaty - 12/24/1983.